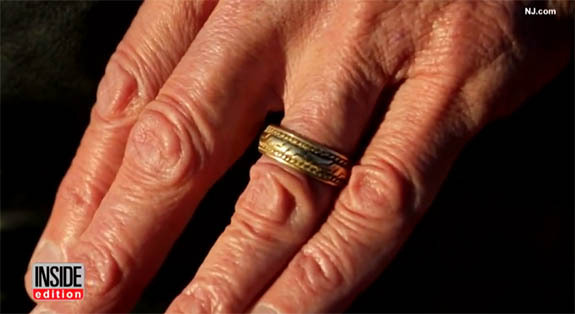 A New Jersey widower was reunited last week with the gold wedding band he lost 15 years ago while cutting down a Christmas tree at Wyckoff's Farm in White Township. 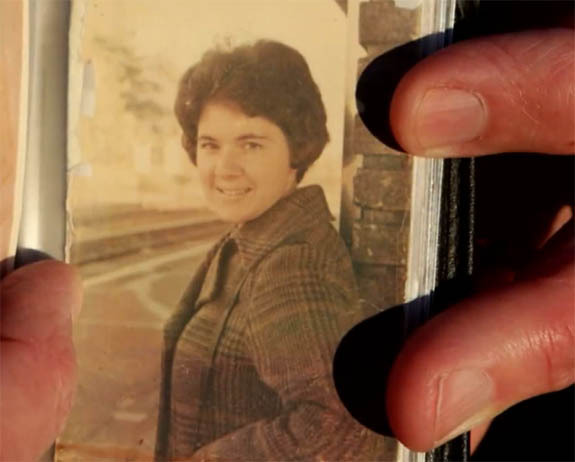 The holiday miracle was bittersweet for 68-year-old David Penner because Nancy, the love of his life who gave him the ring on their wedding day in the summer of 1974, passed away on September 30. "Maybe it's her way of saying, 'Everything is OK,'" Penner told NJ.com. 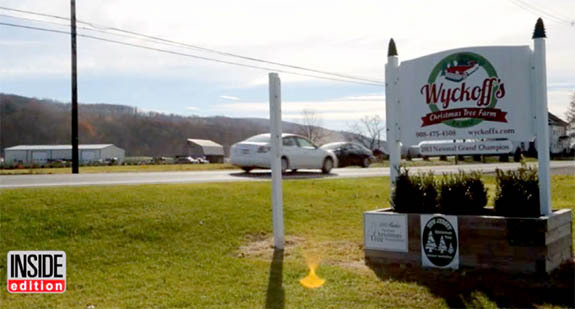 Fifteen years ago, Penner had visited Wyckoff's Farm in rural western New Jersey with his wife and two teenage sons to score the perfect Christmas tree. It was a cold day and Penner wasn't wearing gloves. His hands were numb and during the process of sawing down the tree his wedding ring somehow slipped off his finger. He didn't realize the ring was gone until he got home. Penner returned to the farm, but his efforts to find the ring were fruitless. He accepted the hard truth that the ring was likely gone forever. He and his wife decided that they wouldn't buy a replacement ring. Nothing could match the original, and the important thing was that they had each other. 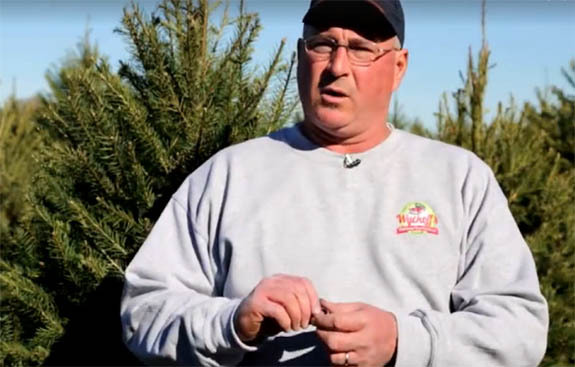 This past April, third-generation Christmas tree farmer John Wyckoff was planting saplings off the back of his tractor when a glint on the ground caught his attention. John was used to unusual items turning up on his farm. He's found arrowheads, broken sunglasses, old children's toys and chunks of glass, but this time he had something special. 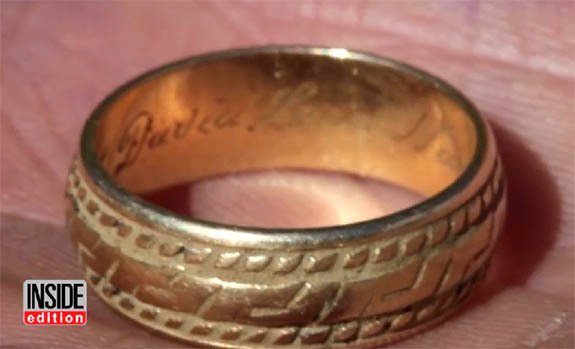 Caked with black soil was a gold wedding band inscribed on the inside with the phrase, "To David. Love, Nancy" and the wedding date "July 20, 1974." Wyckoff knew this ring was a cherished keepsake, but he wasn't sure how to find the rightful owner. He kept the wedding band on his kitchen's window sill for the next seven months. 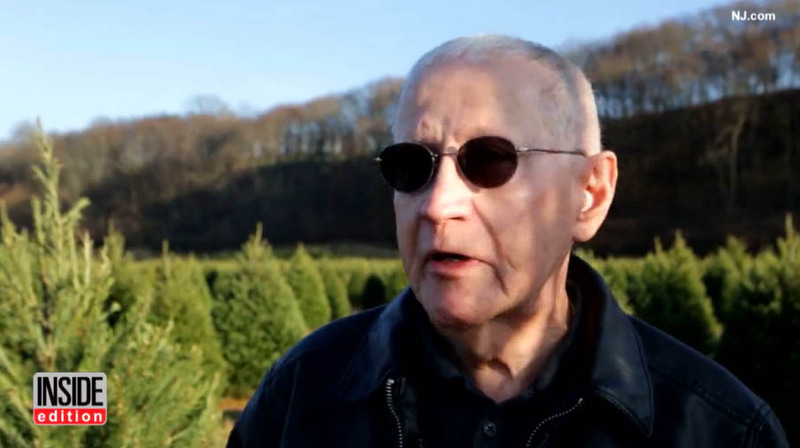 By a stroke of good luck, the popular website NJ.com was planning to do a feature story on Wyckoff's Christmas tree farm. 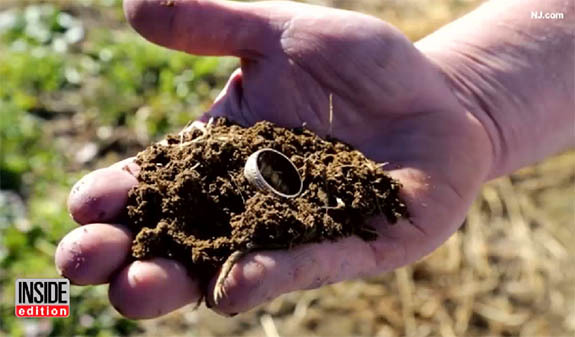 Wyckoff tipped off the reporter that he had found the ring and the website soon ran a story titled "This tree farmer found a lost wedding ring — help him identify the owner." The story posted on Friday, December 2. Five days later, Wyckoff and the website had found their man. "Now that I've got it back, that's a good thing," he told NJ.com. "It's like the best Christmas present you could have at the present time." Penner added, "Seems like somebody up above is looking down... There's a reason for a lot of things and maybe it's her way of saying 'Everything is OK.'"
Credits: Screen captures via Insideedition.com.